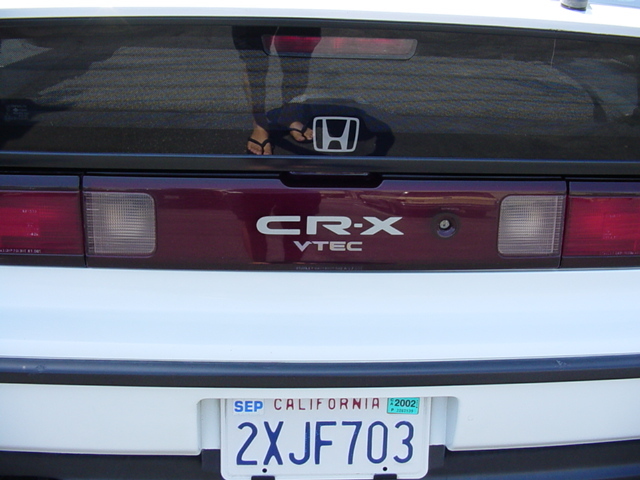 Discussion in '88-91 Honda Civic/CRX' started by Daniel, Apr 27, 2006. 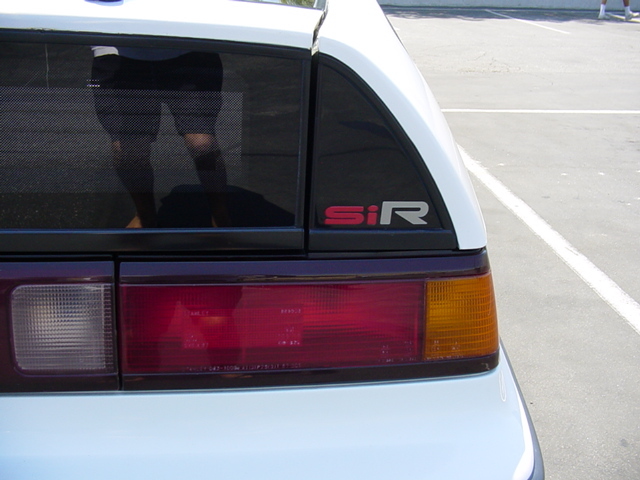 Here are a few pics of my old CRX I had. Yeah it was really plain, nevertheless in tip top condition. Too plain? or just right? What do you think? 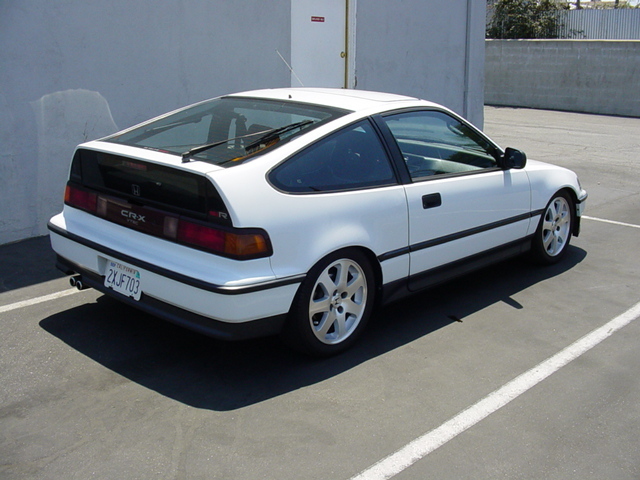 I think it looked great, plain is always good on a crx. That's what I think too, IMHO there are only a few aftermarket wheels that look good on the REX, for some reason I preferred OEM Honda wheels. yes those wheels look really good on there. When did you get rid of it??? I think it looked just right. 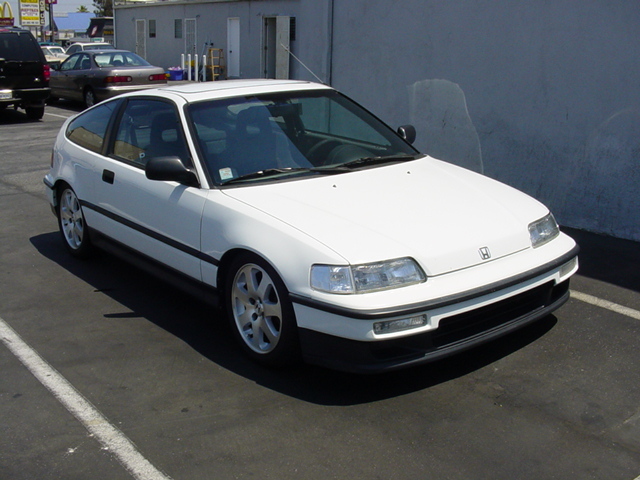 Too many people try and modify everything they can get their hands on and the car ends up looking like someone threw a bunch of APC parts and a CRX against the wall to see what stuck. I like and respect any look (JDM, rice, OEM - whatever) as long as it appears well thought out and put together. Lately I have seen some 'riced out' vehicles that actually have looked like someone took the time to plan the mods and performed them with some skill rather than just slapping the body kit on in their back yard and spraying it with Testor's model paint. 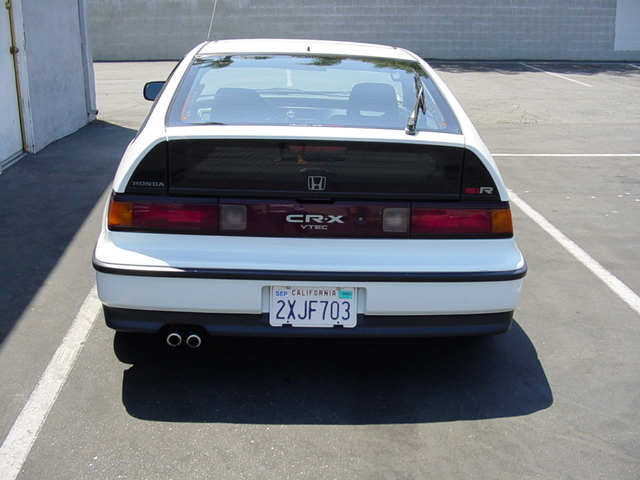 Your CRX while looking just as the Honda engineers planned it to, had some subtle changes virtually unrecognizable to the 'untrained' eye. I like that. 2 Words : Love IT! I dont think you could possibly do anything to it to make it look better than it already except maybe an Exhaust. Well plus a Nice engine Bay. But Really it looks real nice! I think it needs those yellow fogs, but other than that...it looks great. 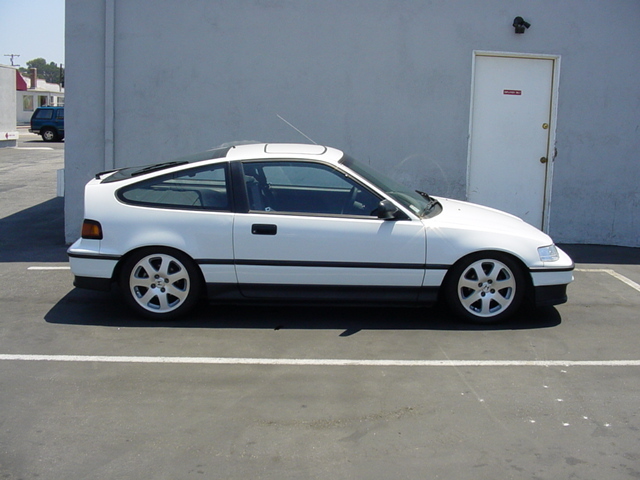 I want to get a CRX. What you think? yellow fogs or no? This thing looks hoott!! i remember when my hatch looked like this. I loved it. I miss it to. I sold it and bought me a rex for another project. I didn't notice this before. Looks awesome!!! 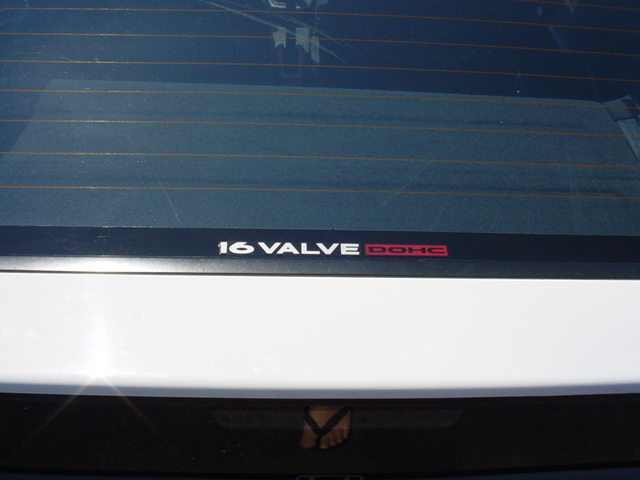 I would've maybe added a Mugen spoiler and that's it. Otherwise, that is one clean rex. It's just right!!! Sort of the direction that im taking with mine, except I have a thing for the oem amber corner and bumper lights. But clean none the less!!! I had use the original JDM Honda Lenses for the Si in Japan. Yeah the hatch looks very similar.